It was a piece of cake (ethical or otherwise) for the president to savage Nordstrom’s on both his personal and POTUS Twitter channels. It was also easy to turn loose S.S. (My pet name for White House Press Secretary Sean Spicer) at a press conference and have berate the retailer (and the punch-drunk media) for bullying and betraying poor Ivanka. And, sadly, it was predictable that the rocket scientist otherwise known Kellyanne Conway would be auditioning for her next gig as a QVC product shill when she endorsed Ivanka’s entire fashion line on the oh-so-friendly Fox & Friends. The whole escapade was easy because, despite Nordstrom’s releasing Ivanka’s shocking 38 percent sales decline in the fourth quarter, the news came from a company that be could be positioned as THE retailer of the elite Left-Wing, effete, aristocratic Democrats as well as the Opposition Party (otherwise known as the mainstream media). Nordstrom’s decision was politically/motivated. Case closed. Ah, but what to do now that Sears and KMart have followed suit and also dropped Ivanka’s products, pointing to horrific sales performance as well? 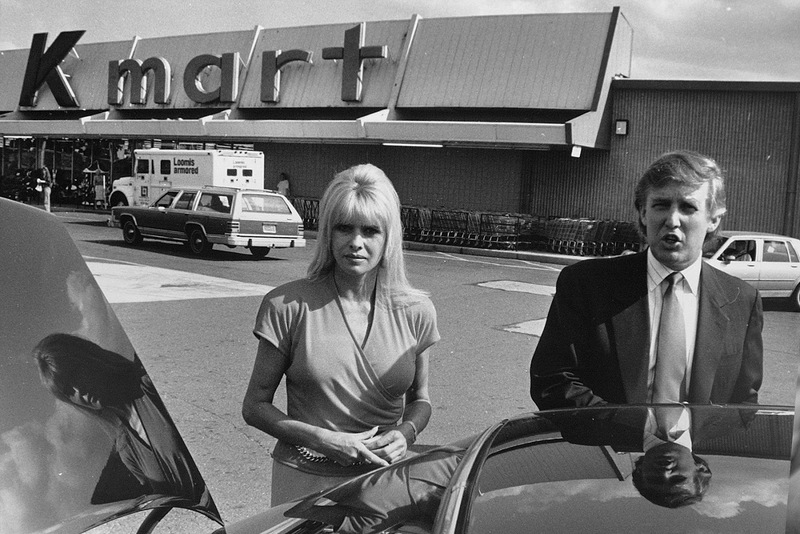 He, and his team, will have to think twice about calling Sears and KMart left-wing, politically/driven organizations with only two goals in mind: politicizing sales and hurting Ivanka’s feelings. That’s because the message won’t fly in Michigan, Ohio, Pennsylvania or the entire South because, well, those folks flock to these two, low-priced merchandisers who HAVEN’T overlooked their desperation. These are heartland companies who hire American workers and sell low-cost items the base can afford to buy. Period. And, if the base isn’t buying Ivanka’s stuff well, what’s a poor president to do? Defend his baby and risk offending the lower-to-middle class Sears/KMart shoppers who elected him, or let it go? The answer is obvious: He’ll give both companies a free pass even though they did EXACTLY what the now reviled-Nordstrom’s did. The last thing the beleaguered Trump needs right now is to inadvertently pick a fight with a person, place or thing the base absolutely adores. Happily, he was so many other distractions ranging from North Korea’s launching a missile while POTUS dined with the Japanese prime minister to a top cabinet official cutting deals with Putin while Obama was still president. And, then there’s the Wall that now will cost three times what Trump said it would cost, the decision to now delay making wholesale Obamacare changes for “another year or so” and those politically-motivated “so-called judges” who keep blocking his Muslim travel ban. Oh, yeah, and then there’s the round-up and deportation of 365 bad hombres this weekend. So, while poor Ivanka’s fashion and home products lines seem to be folding faster than the Mets do during a stretch run for the pennant, it seems to this blogger that Sears and KMart won’t bear the brunt of any 140-character nuclear assaults from the West Wing anytime soon. Sure, he has to defend his baby’s business interests (even though she’s supposedly divested herself of said interests in order to serve as one of his advisers), but even President Trump has to let this one slide. But, that doesn’t mean he’ll forget, or forgive, Sears and KMart. Their day of reckoning will most assuredly come sometime down the road. Who knows? Maybe he’ll make their employees build The Wall and have Sears and KMart pay for it. Anything and everything is possible in this new world of alternative facts in which we live .